Have you had a problem with your computer or hard drive, lost all your music, then connected your iPod to your computer, hoping you could do a two-way transfer? Unfortunately, when you do that iTunes won’t let you copy your previous music library to your computer. That’s where Sharepod comes in. 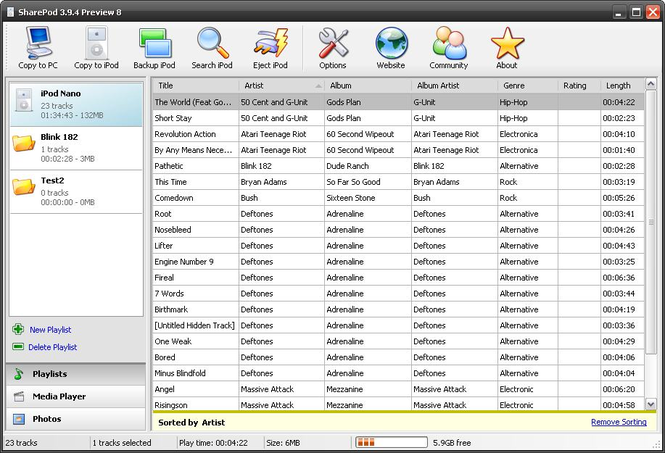 With Sharepod, you can copy music you have stored on your iPod to your computer with a simple drag-and-drop interface. You can arrange by track, by album or by playlist. Sharepod is a simple, single-executable application that doesn’t need installing. So whether you are at home or a friend’s, it is easy to download, open and have your iPod connected within seconds. 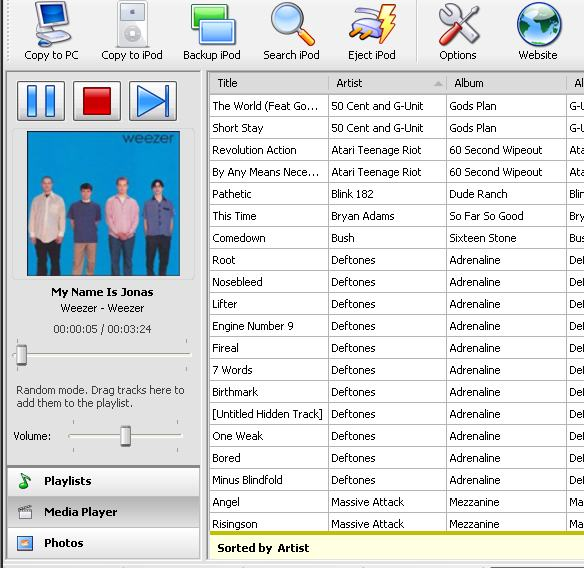 As well as iPod to PC sharing, Sharepod allows you to copy music from your PC to iPod without the need for iTunes. This is a great if you have multiple computers and want to use your iPod with all of them, instead of connecting your mp3 player to just one device. Pros: Very easy to use, allows you to connect iPod to multiple computers for sharing, free. Conclusion: Sharepod is a great freeware application for transferring music from your iPod to other computers and back again. If you have multiple computers in your home network or want to share music with friends, there is no simpler way to do it than with Sharepod. Sharepod fixes the universal problem iPod users have when trying to connect their device to secondary computers. 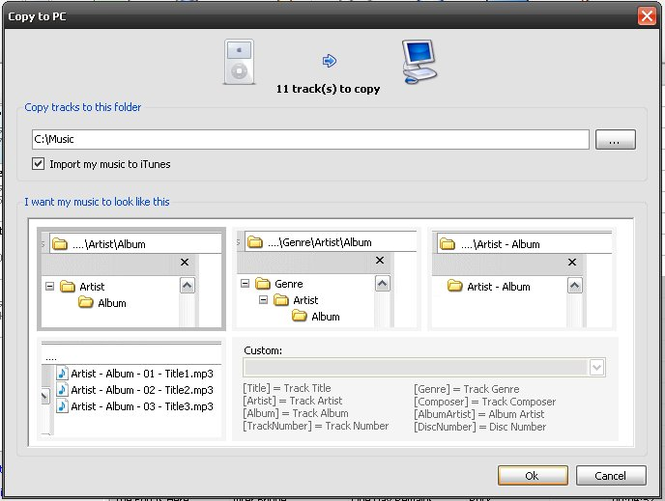 Free application to transfer music and video files from an iPod/iPod Touch/iPhone to a PC. SharePod was designed from the start to be lightweight, quick and responsive, it has all of the features you need and none of the features you don't.